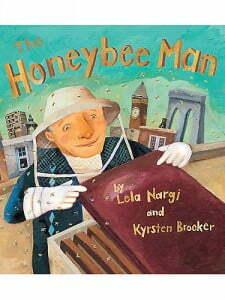 This sweet story depicts the life of Fred, his dog named Copper, his cat named Cat, and his large family of honeybees. Every morning, Fred climbs the stairs up to the roof where he lets his worker bees out to fly over Brooklyn and collect sweet nectar from different flowers, and then puts them to bed in their hives when their stomachs are full. Young readers will enjoy reading about Fred’s genuine appreciation of his beloved bees and learning about the different roles both humans and bees play in the delicious honey-making process.